I’ve been thinking a lot this week about the service industry. Having grown up in it, my parents owned a grocery store for 30+ years, and having spent my career in it, it’s not a foreign concept to me. Still, I am often surprised (even today) when I have an amazing experience at one of my favorite restaurants, salon’s, coffee shops etc. On the flip side, I am actually still (even today) surprised when things go sideways and I’m left with disappointment after what would otherwise be a perfect experience – aside from the service. In my family, we often frequent our favorite restaurants and find ourselves looking forward to seeing the servers there. They are our friends, our extended family, and really what makes our experience special. Whether it’s Shawna or Meg at Spinasse, Seth at How to Cook a Wolf or Matthew at Canlis. Each of these individuals has made our experience so special, that we remember them. And they remember us. They welcome us with warm enthusiasm and open arms every time we arrive at their establishment. They make us feel special. They get to know us, and they anticipate what we need. Most importantly, we trust them. We trust them with our time, our dollars and our experience. With this crowd, we just say, “bring us what you think we will love.” And they always do. That is the key in the service business. This trust that is established – over time – as clients and servers get to know each other is a magical balance of understanding where each other is coming from, and trusting one another to deliver. It is what makes restaurants, coffee shops, salons, stores, and agencies – great. It is what differentiates the great from the good. Which gets me thinking about my business, Rational. Rational at its core is a service-based business. In our four-year history we have had the good fortune of working with some of the most wonderful clients, friends and colleagues in the business today. 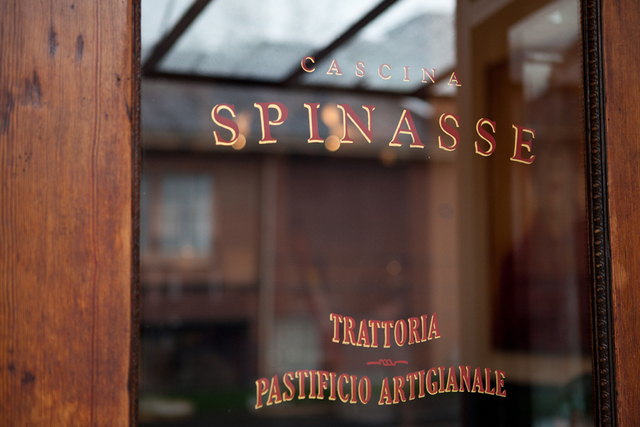 Our goal is to make sure they feel the same when working with Rational, as I feel when dining at Spinasse. They should feel taken care of, that their needs are anticipated and met before they ask, and they should trust that what we deliver not only meets their needs, but also exceeds them. They should feel like a member of our family, because they are. We would not be here without them! We must never lose sight of that fact, across our full team, no matter what role. Our service offering relies on that careful balance of trust and expertise. If it’s not there, then the whole thing falls apart. To put ones self in service of others is something that is not easy. It’s the most challenging yet most rewarding job out there. It’s one that can become incredibly rich when both parties trust, respect and enjoy each other. I so appreciate those in my life who make my experiences so much richer, beneficial and meaningful. And for Rational, our goal will always be to make our client experiences the best they have ever had, and that the work we deliver continues to build on our relationship and the careful balance between a client and a server. Previous Post This Labor Day we made jam. Darn good jam.